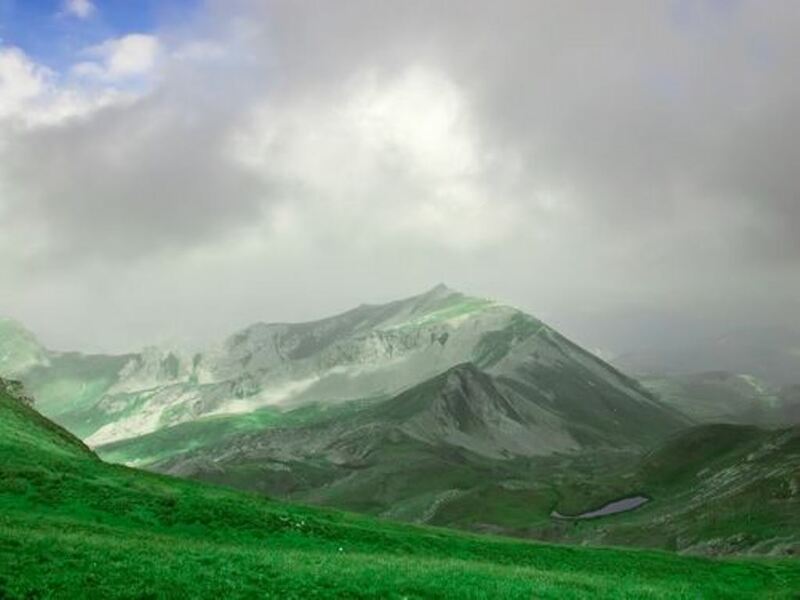 Mount Korab ( Macedonian: Голем Кораб, Golem Korab) is the highest mountain of Republic of Macedonia, its peak forming a frontier between two countries Macedonia and Albania. The peak lies adjacent to the Šar Mountains. 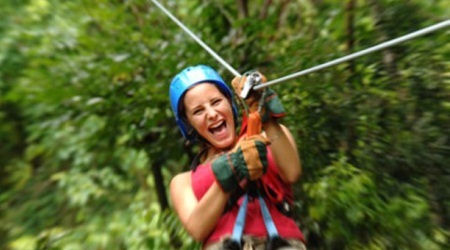 In 2011, Albania proclaimed the area as part of the Korab-Koritnik Natural Park. Mount Korab is also pictured in the coat of arms of the Republic of Macedonia. Name "Korab" is of Slav origin, it was considered to be a God of sea by various Slavic tribes, before they have switched to christianity. 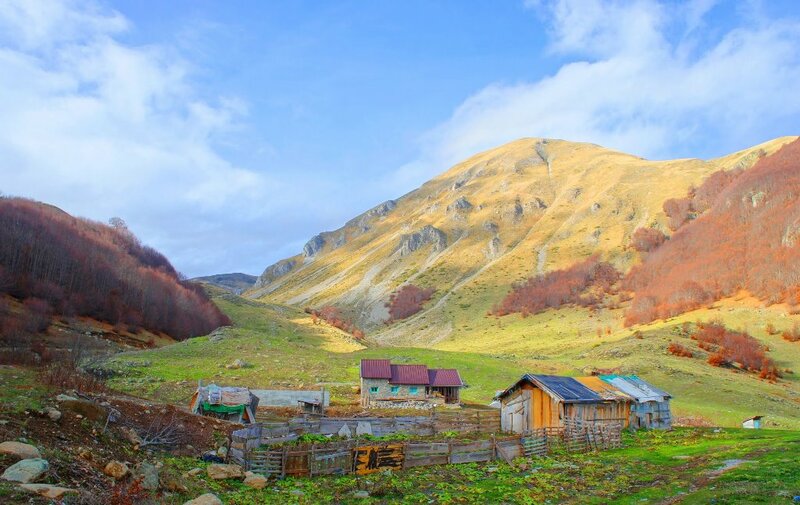 Korab may be considered an off the beaten track mountain resort, at least by the European standards. The Korab mountain range stretches over 40 kilometers in a north-south direction between the lower section of the Black Drin and its tributary Radika. 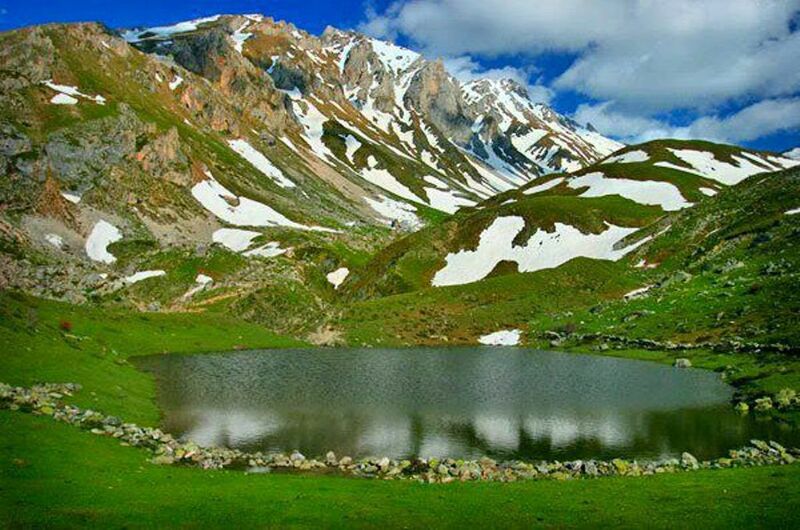 It is located around the border triangle of Albania, Macedonia and Kosovo, southwest of the mountain Šar Mountains. 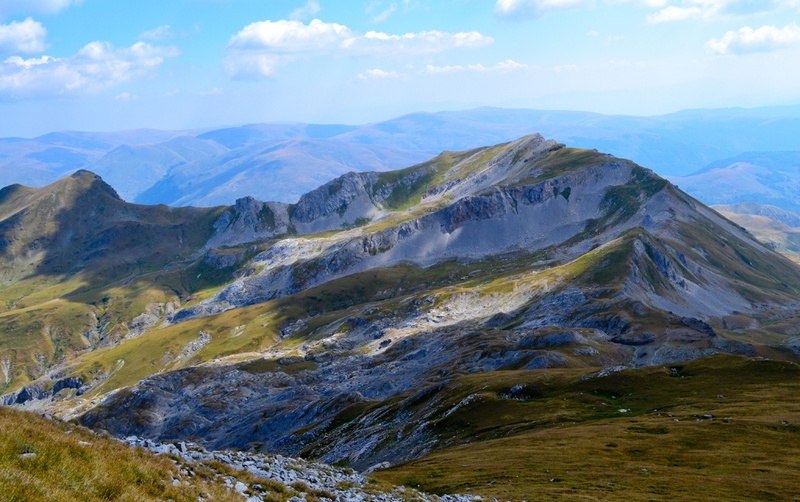 The Korab is a very rugged mountain massif and consists mainly of shale and limestone of the Paleozoic with block structures, as well as severely damaged gypsum rocks of Permo Triassic . On the west side, the mountain falls steeply over rock walls. The north side consists of craggy rocks. 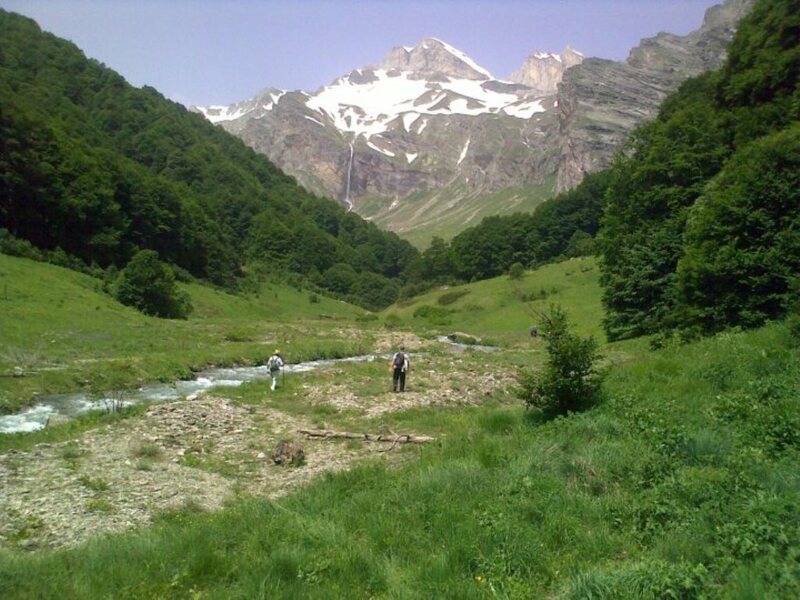 A kind of double peak, that of Korab II 2,756m, which almost reaches the same height, is about 150 meters northwest of the Korab peak within Albanian territory. On the same ridge are two other peaks rising over 2700m, Shulani i Radomires and Korab III. 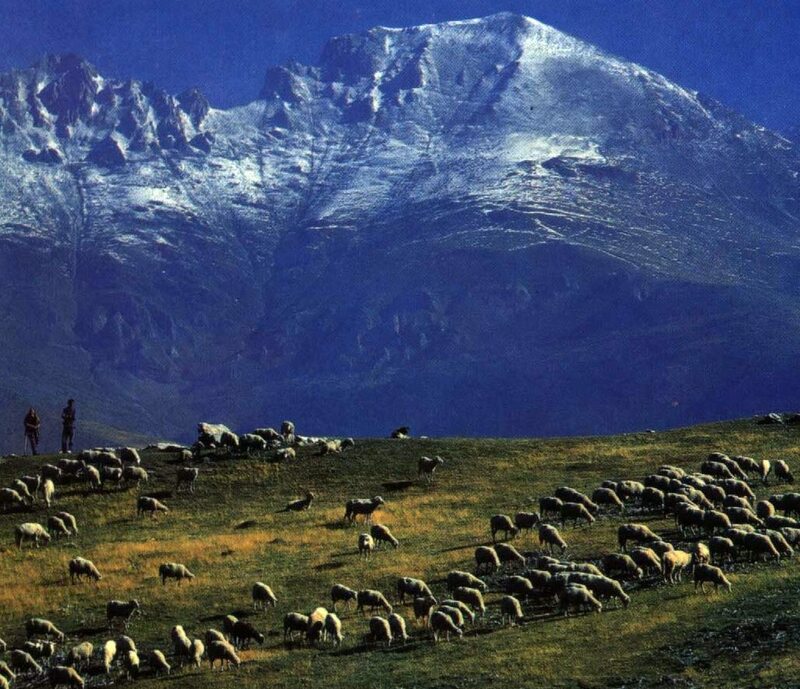 The southeast, stretching from a few rock bands broken meadows to the summit is accessed by very simpley, and occasionally by shepherds with their flocks of sheep.In addition to the Korab peak there are several other, almost equally high elevations. North of the twin peaks are numerous other nameless, almost equally high rock towers. The peak located about two kilometers southwest, Korab-gate (Maja e Portat Korabit / Korapska Mala vrata) reaches 2727m. A few hundred yards south is another peak Maja e Moravës, which is 2718 meters, with only a little lower.The peaks are occasionally ruptured by radial tectonics in the shape of blocks that end in the Radika Valley on the Republic of Macedonian side. These blocks occasionally have steep slopes that reach up to 500 m (1,640 ft). 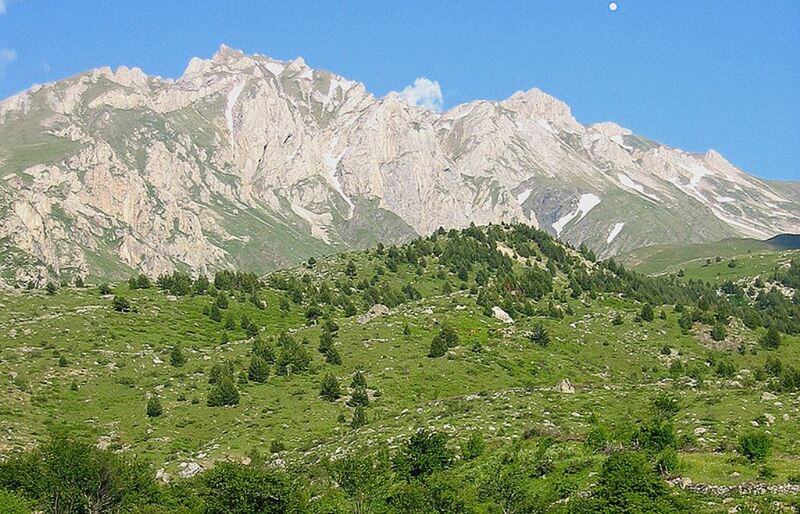 In its highest part, above 2,000 m (6,562 ft), the climate is alpine and includes some alpine flora elements. 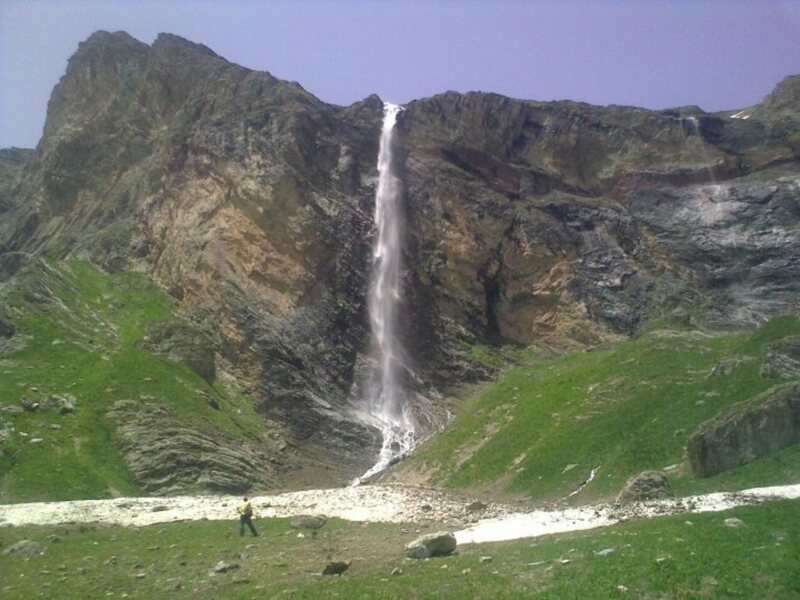 The mountain is home to spectacular Korab Falls in the upper valley of the Dlaboka River. During spring time, the waterfall reaches a height of over 130 meters, which makes it the highest in Macedonia. The state border intersects the higher peak, Great Korab.Ascent from the Republic of Macedonian side involves entering the Republic of Macedonian-Albanian boundary area, for which a special permit is required from the Ministry of Internal Affairs of the Republic of Macedonia, although people regularly track on Korab without it.